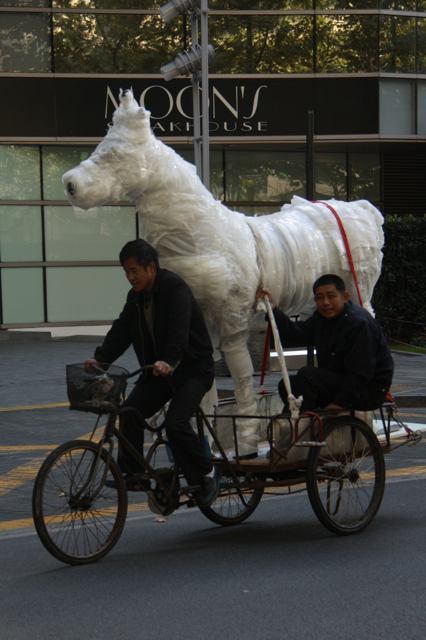 Just when I thought I may have been getting complacent about living in Shanghai, along comes a horse on the back of a bicycle to snap me out of it. Can you imagine the conversation at the horse shop? "Of course! I'll have the guys wrap it in tissue and bring it across Shanghai on the back of a tricycle. That OK?" Note to self: In Shanghai, nothing is impossible.